4608 SE 6th Ave #1B, Cape Coral, FL.| MLS# 219018027 | Southwest Florida Residential Real Estate for Sale. Cozy and affordable living is yours in this spacious 2 bedroom, 2 bath corner unit on the first floor. Nice condo for the price! Kitchen has granite counters, island counter and nice white cabinets, stainless steel range, dishwasher and microwave, and white refrigerator. Spacious living room/dining room area; good size master bedroom with walk in closet and updated master bath granite vanity & tiled shower; decent guest bedroom; guest bath has granity vanity and tub/shower. You will love the huge storage closet inside this unit - great space! Unit has its' own washer and dryer. Tile floors in kitchen, dining, foyer and walk ways; beautiful laminate flooring in living area. Your own private screened lanai - this unit is just tucked away in corner -giving it more privacy! 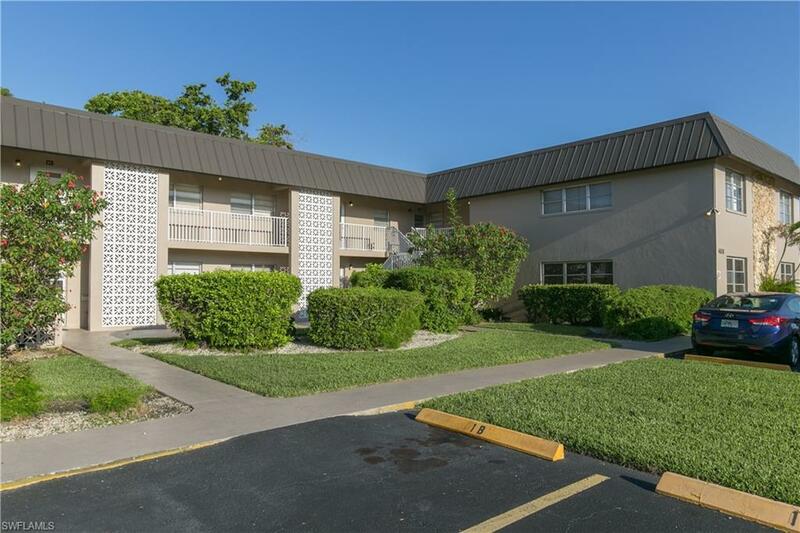 Fantastic downtown SE Cape Coral location - convenient location! Easy to show! !